I'm slowly working my way through the Chilling Classics 50 Movies set. It's like an adventure or a safari but instead of being out in the wild fighting for my life to accomplish something meaningful, I am sitting at home watching some bad movies and eating chips. 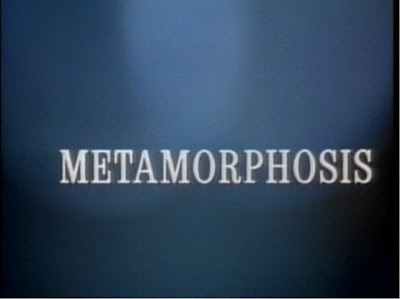 The other night I watched Metamorphosis. I'm not going to bore you with cast and crew trivia (if you care about that stuff look it up at IMDB), but it was released in 1990 and is basically a really low budget Italian The Fly. But with dinosaurs instead of flies. I don't want to ruin this for anyone, but I don't think I'm giving too much away when I tell you that a brilliant scientist is forced to use himself as a guinea pig in his crazy experiment. 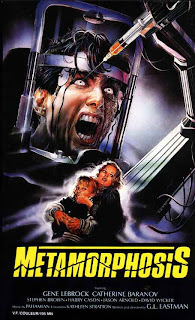 Metamorphosis must have had a really low budget (right?) so wisely 99% of the movie is pretty subtle. You get a few gore effects here and there and some kind of creepy makeup work on the scientist guy. 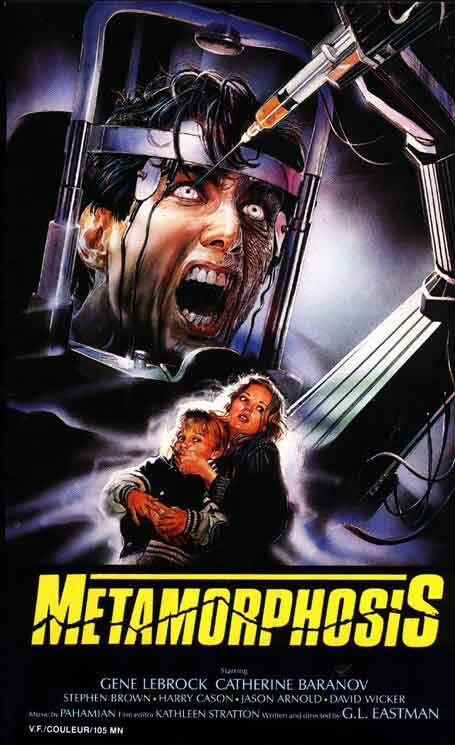 Sure the ending to Metamorphosis was terrible. Heck, the rest of the movie wasn't great. But I was certainly entertained for 90 minutes.